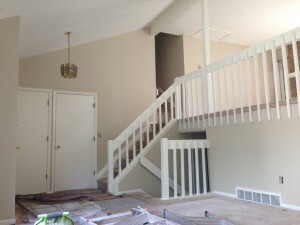 This multi-level was in desperate need of updating! 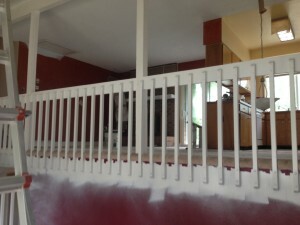 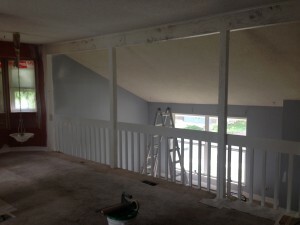 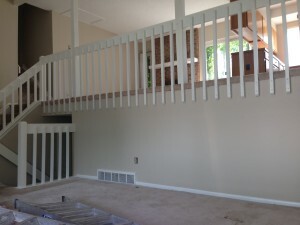 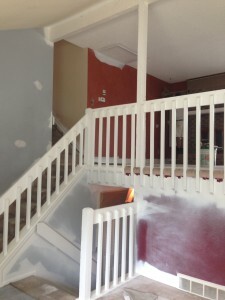 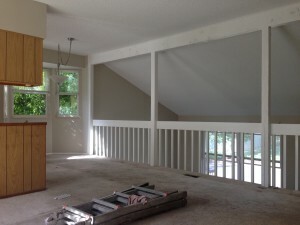 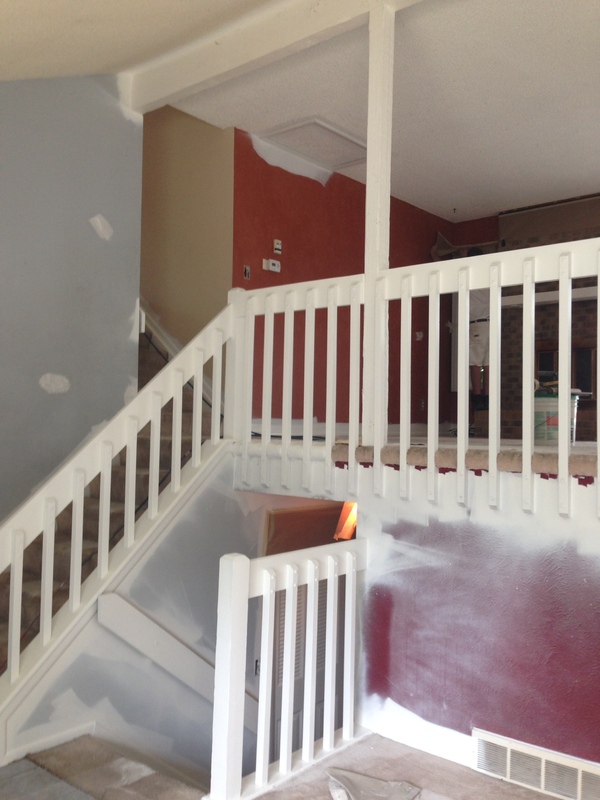 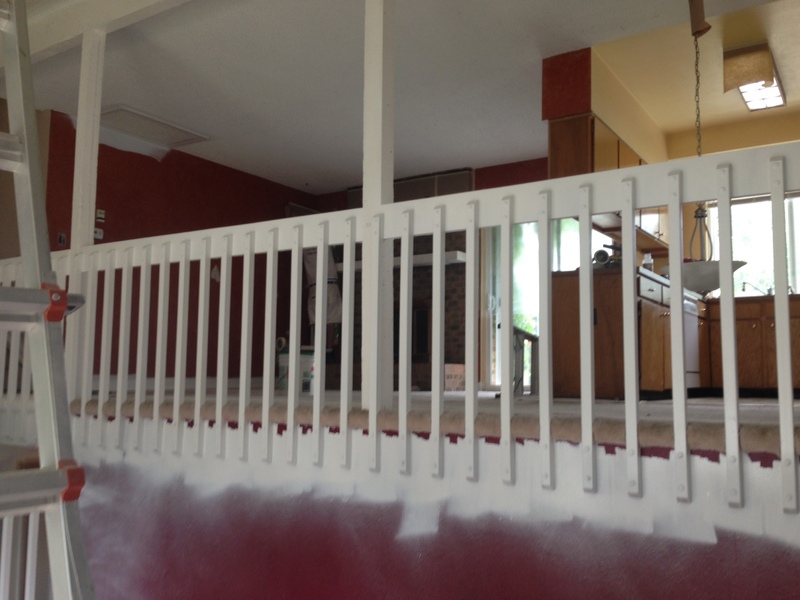 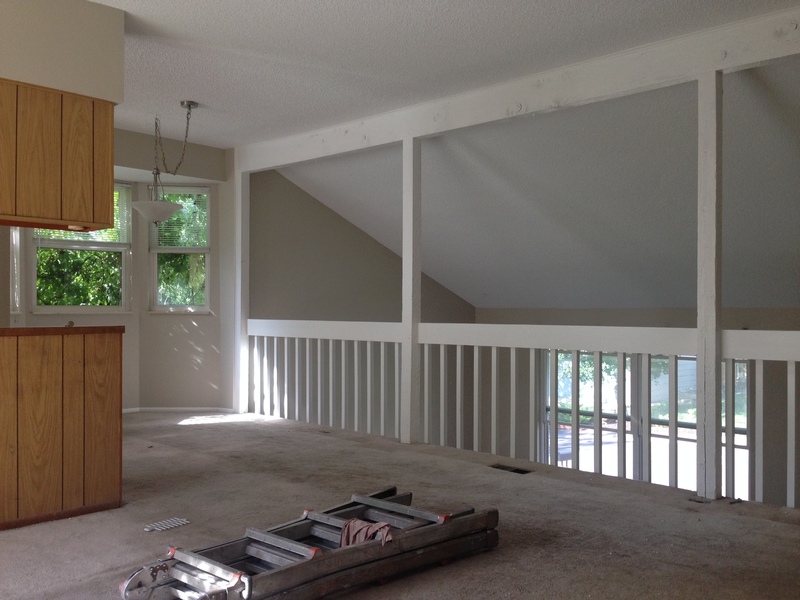 We painted the dark beam and bannister trim-white. 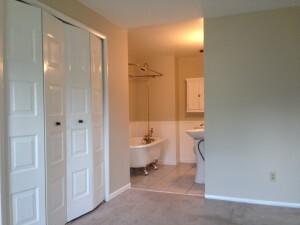 The ceiling we re-did in flat ceiling white with Benjamin Moore’s Elmira White (HC-84) on the walls. 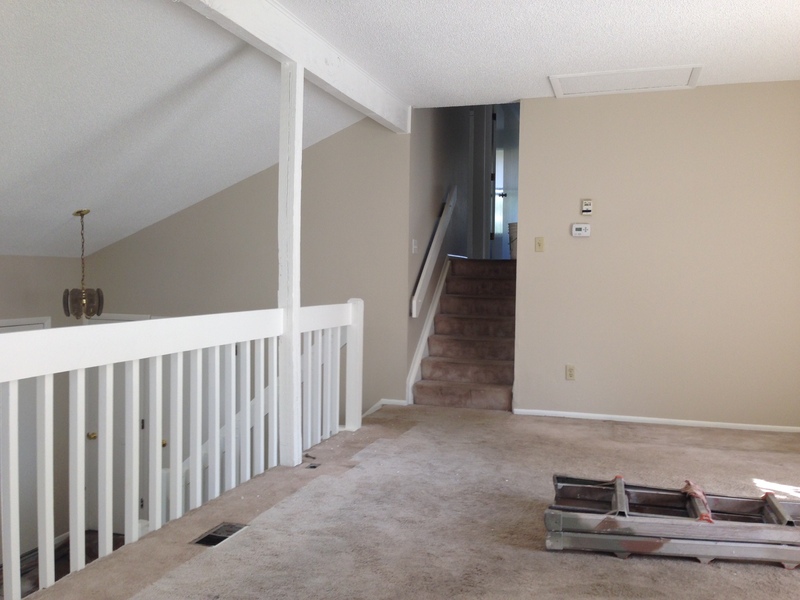 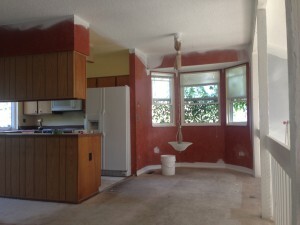 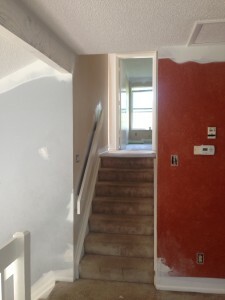 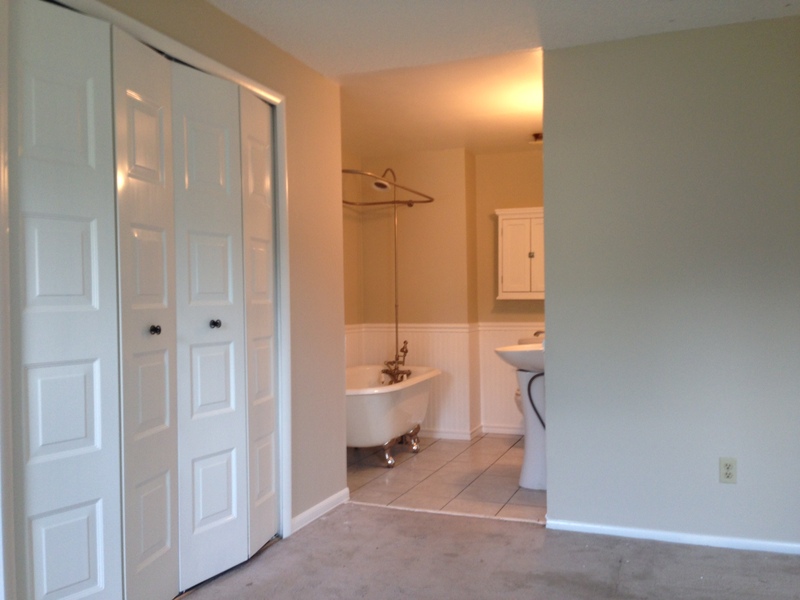 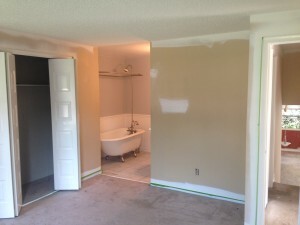 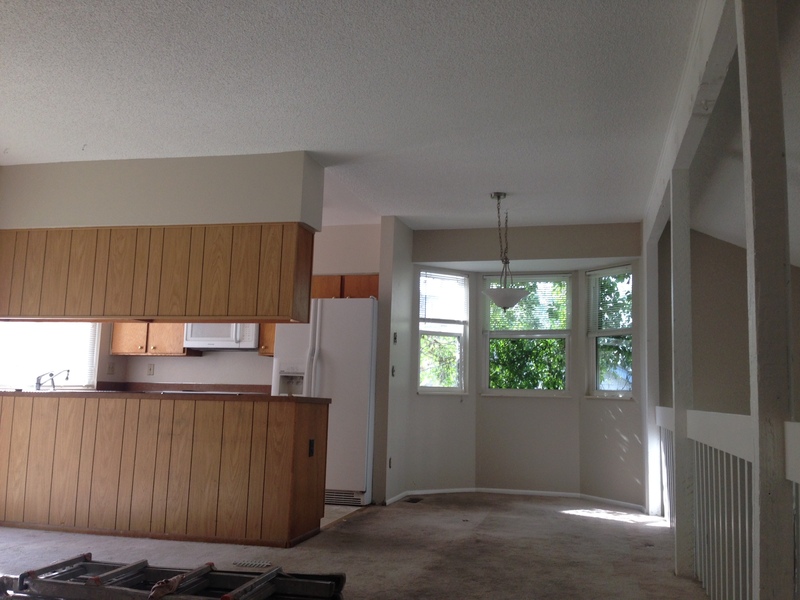 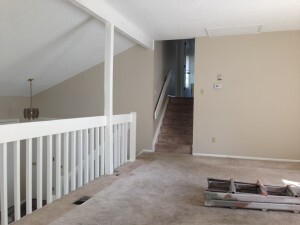 Getting rid of the dark colors and painting the ceiling really brightened the place up.